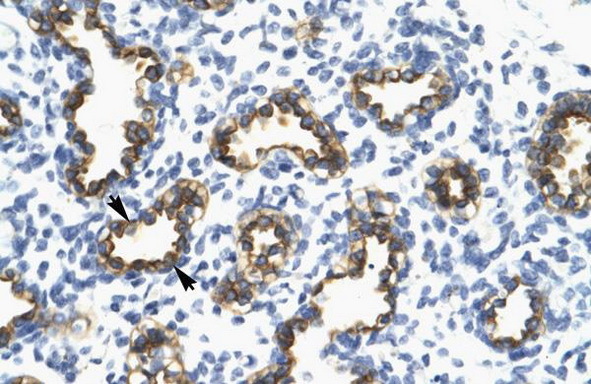 TRIM13 is an E3 ubiquitin ligase involved in the retrotranslocation and turnover of membrane and secretory proteins from the ER through a set of processes named ER-associated degradation (ERAD). 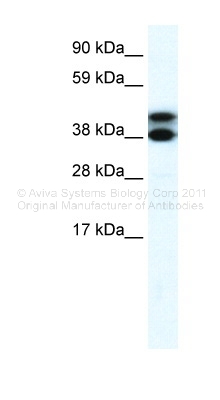 This process acts on misfolded proteins as well as in the regulated degradation of correctly folded proteins. 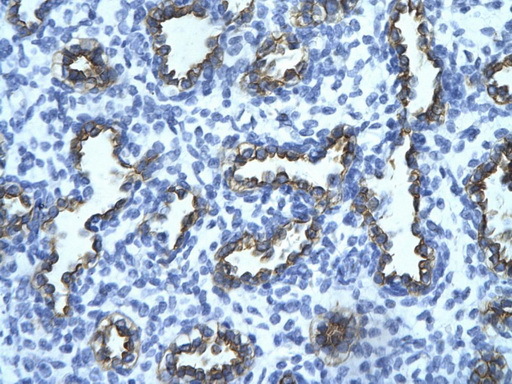 TRIM13 enhances ionizing radiation-induced p53/TP53 stability and apoptosis via ubiquitinating MDM2 and AKT1 and decreasing AKT1 kinase activity through MDM2 and AKT1 proteasomal degradation, regulates ER stress-induced autophagy, and may act as a tumor suppressor. 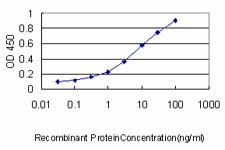 Detection limit for recombinant GST tagged RFP2 is approximately 0.1ng/ml as a capture antibody. 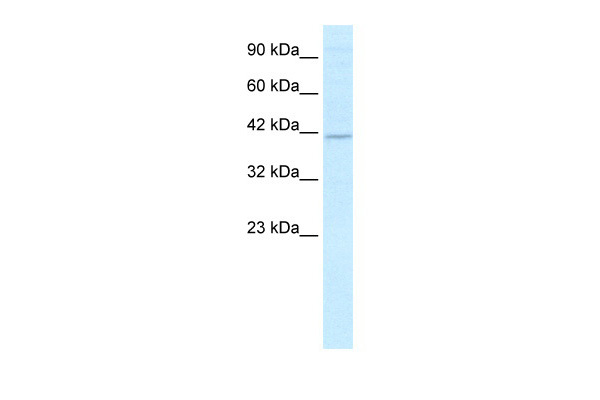 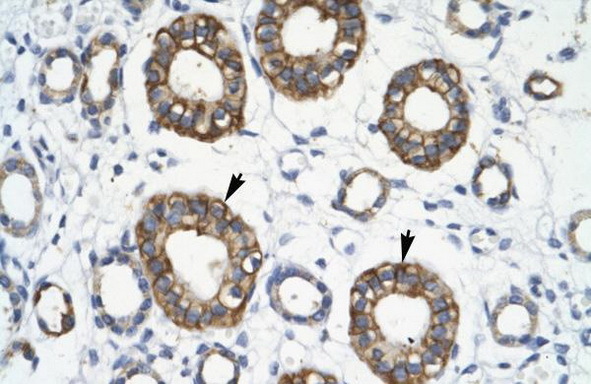 RFP2 polyclonal antibody (A01), Lot # UYL6060127QCS1 Western Blot analysis of RFP2 expression in HeLa ( Cat # L013V1 ).